It's an audio site, right? So we let you click less and listen more. ...or from our stupendous Piece Search page. 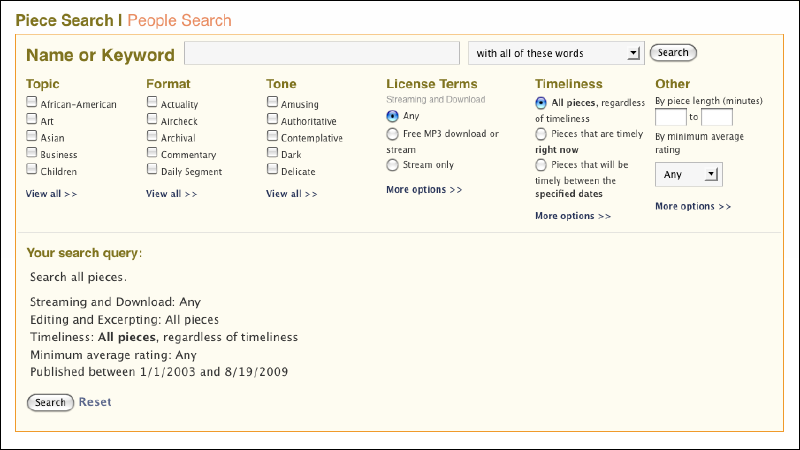 Those who like to click can explore features like New Pieces, Most Active Pieces, Related Pieces, and Playlists.